Knowing I’m a bit of a train geek, a friend kindly bought me a gift commmorating the launch of the Shimakaze train service. Its pieces of sponge cake presented in a commemorative box – shaped like the Shimakaze train itself! The box also functions as a children’s toy. In this film you’ll see that the back of the box opens, revealing an inner box that is decorated with symbols of the Shima region including sea creatures as well as land animals. 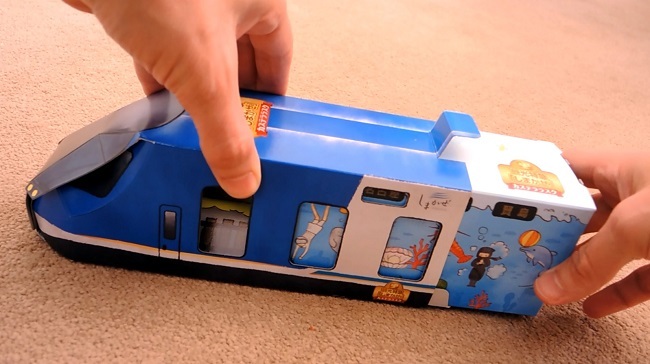 A railway track is also included in the box turning the packing into a complete toy. Operated by the private Kintetsu Railway company, the Shimakaze is a luxury, limited express train, with the first service running in March 2013. ‘Shima’ is the region in which the train runs and ‘kaze’ means wind in Japanese, also implying speed, so it’s the Shima-wind train. 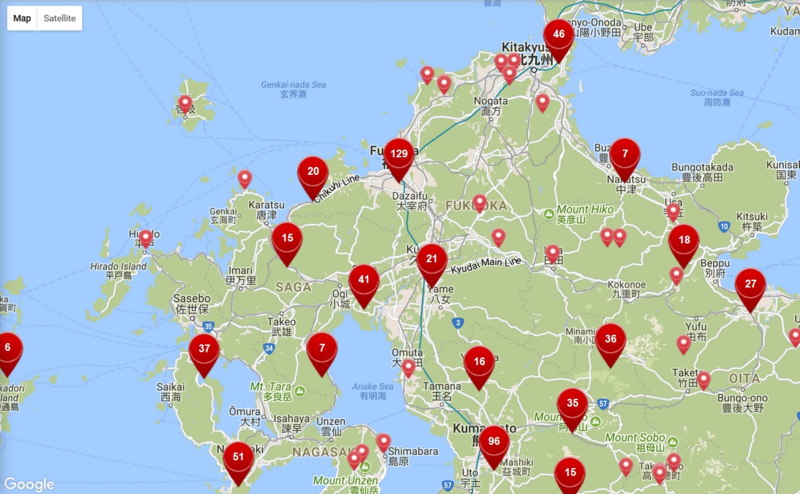 Fantastic Interactive Map of Japan – Get Exploring! Change Your Life – Why Am I Doing This?